Another premier Denver fly fishing guide trip opportunity for anglers of all abilities. Boxwood Gulch Ranch is owned and managed by Dan Mauritz. It is one of the longest standing Colorado private water fly fishing destinations. 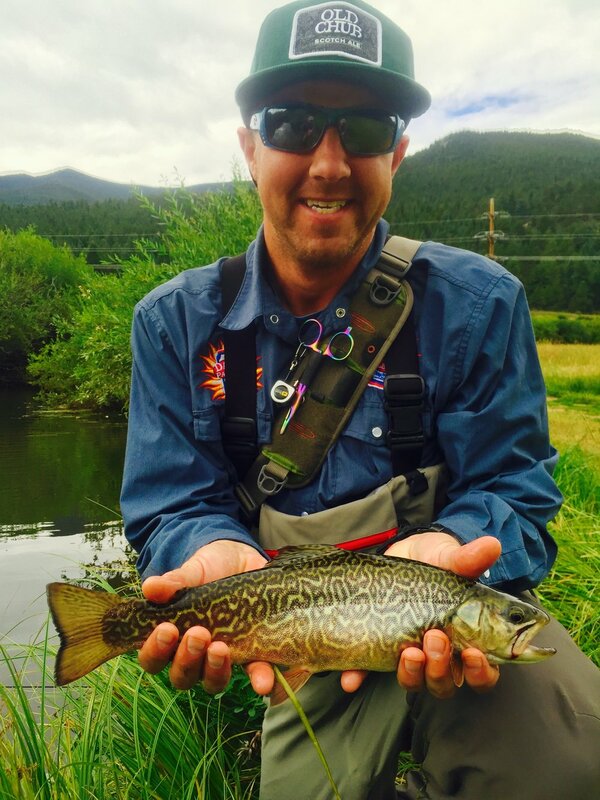 Like the North Fork Ranch, Boxwood is also know for trophy trout and unique hospitality. Boxwood boasts a comfortable clubhouse for anglers that includes restrooms, couches and a beautiful flagstone patio. Also home to monster rainbows, there is a better chance of catching a trophy brown trout here. The trout species diversity is unique including rainbow trout, brown trout, cutthroat trout, brook trout and even the elusive Palomino trout. 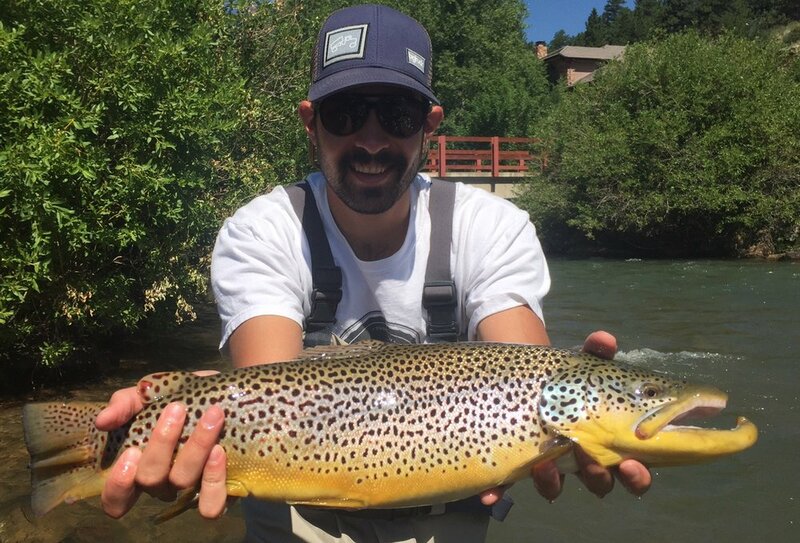 Located only one mile from the North Fork Ranch and only 50 minutes from Denver, Boxwood Gulch Ranch is a great location for your Denver fly fishing trip or for your fly fishing trip while staying at the North Fork Ranch Orvis endorsed fly fishing lodge. Another perfect location for easy accessibility. The entire length of the river is accessible by road or trail. Perfect location for larger corporate fly fishing groups. 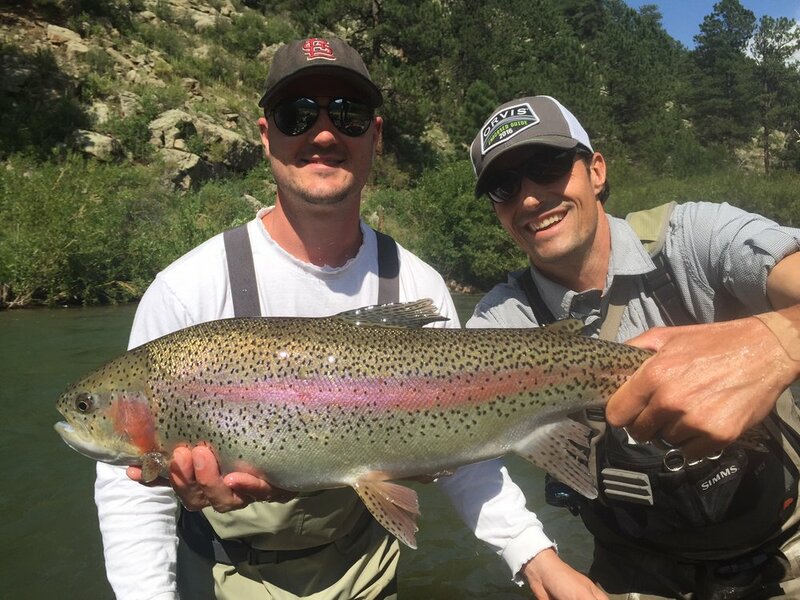 Boxwood Gulch can accommodate over 10 anglers. Used with the North Fork Ranch or Long Meadow Ranch we can host a group fly fishing trip for up to 20 anglers. North Fork Ranch lunches are served on Boxwood trips. For groups of 6 or more we lunches are catered in the Boxwood clubhouse by the North Fork Ranch staff.